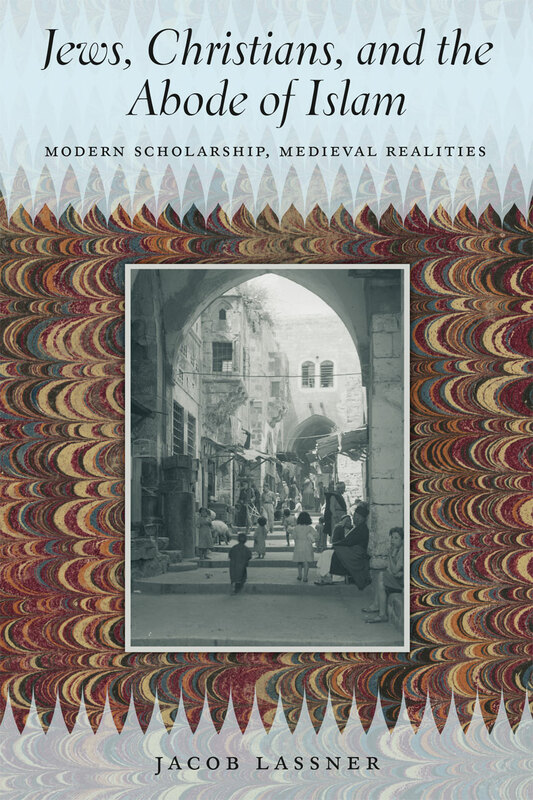 Jacob Lassner’s monograph Jews, Christians, and the Abode of Islam: Modern Scholarship, Medieval Realities is a highly readable, well written volume synthesizing the history and the current state of scholarship on Islam. 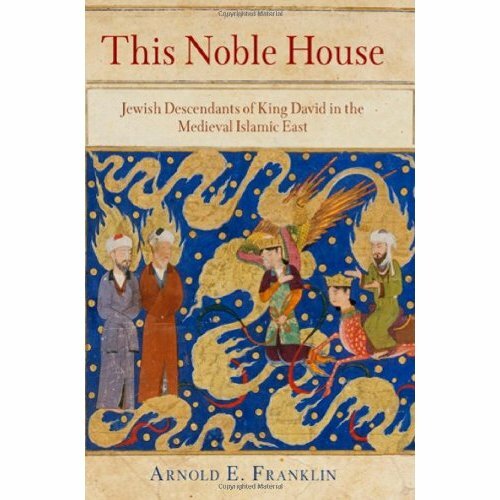 The volume also provides an overview of the history of Jews and Christians in the Muslim World spanning the advent of Islam up until the early modern period. Although ordered and presented as one volume the book should really be considered as two separate extended essays each divided into chapter based subsections. The first half of the book refers to the first part of the subtitle Modern Scholarship, focusing on how the West has studied Islamic civilization and conversely how modern Islamic society has studied and perceived the West. In the first two chapters of the first section the focus is largely how Western scholars have studied Islam. In these chapters Lassner outlines the evolution of the field such as the transition from the missionary come scholars to the contemporary academics. He summarizes the various schools of research which have emerged such as the Jerusalem school which he sees as a living link to pre-WWII European scholarship or the SOAS school and their revisionist approach to Muslim foundational myths. And he recounts some of the more explosive publications of the past few decades such as Christophe Luxenberg’s The Syro-Aramaic Reading of the Koran: A Contribution to the Decoding of the Language of the Koran and Michael Cook and Patricia Crone’s Hagarism: the Making of the Islamic World. This allows the reader to undersand the issues without having to read the volumes and gives some insight into the current state of academia. Lassner is not shy about viewing his opinions for example in the first chapter entitled the Orientalists he criticizes the “Eurocentric outlook of Jewish Studies” in American academia. And later deftly points out the flaws of Edward’s Said’s now classic Orientalism, citing many critical reviews. He also ventures to explain why Jews have been so prominent in the field of Islamic studies in Europe suggesting a perceived link between the Jewish “golden age” of Muslim Spain and the period of Jewish emancipation and enlightenment which occurred in 19th century Europe. This explanation sets up a reoccurring theme of comparison that is used to demonstrate the inherent difference between the minority experience in Europe with that of the Jew or Christian in the Islamic world. In the concluding chapters of this section Lassner, citing the earlier works of Margalit and Buruma, develops the idea of the Occidentalist. In Lassner’s definition the Occidentalist refers to the Muslim and how he or she perceives the West. Lassner is careful not to present this concept as a clash of civilizations with the Orientalists but instead to present Islamic society’s interest, or lack thereof, of the West and how the Occidentalists both historically and in the modern period have perceived the Orientalists and European society. Charming anecdotes includes his mention of Idrisi, the twelfth century geographer who chronicled the European continent all the way to the British Isles with help from European informants and later the twentieth century University of Baghdad professor who proposed, based on Idrisi’s description of the British Isles, that Shakespeare could have in fact been Sheikh Zubayr, a man of Muslim extraction whose plays were inspired from the medieval Islamic World. Part Two of the volume is more straightforward and less innovative. Entitled “Jews and Christians”, it offers a summary of the relationship between the Muslim majority and the Jewish and Christian minorities from the advent of Islam until the end of the Medieval Period. The first chapter of the section gives a concise synopsis of the Jews of Medina and their untimely fate as a result of Mohammed’s consolidation of power. Although the summary does not present any new material or provide any new insight into this period it presents an elegant and concise account which still manages to discuss the historiography and inherent pitfalls of trying to reconstruct such a period, in short a perfect summary to be used in a classroom environment. In this section Lassner also takes the time to clarify concepts such as what is meant by tolerance in medieval Islamic society in comparison to how tolerance is defined in the West today and he highlights concepts central to the understanding of Islamic society such as the ummah and the importance of communal identity. Clarifying that the historic ummah should not be confused with the modern state. He also juxtaposes phenomena in European history with those in Islamic history as a contextualization tool to show the limits of what can be known of the Medieval Islamic world. One example of this is his comparison of individual Jews converting to Christianity in Great Britain and the Continent during the late eighteenth and early nineteenth century so as to integrate into gentile society with that of Jews who converted to Islam during the Middle Ages so as to ascend the higher echelons of the civil service. In summary the book is a very enjoyable read for the intellectually curious non-specialist wishing to gain a basic understanding of the main actors, ideas, and themes of both the history of Islamic Studies as a field and the historical triangular relationship between the three Abrahamic religions, to quote from the introduction of the volume. This book is also ideal for the academic wishing to gain a quick refresher on the major debates in the field or a non-politicized historical account. The one caveat for the latter group being the lack of footnotes which while completely understandable given Lassner’s focus on the former group was at times frustrating. That being said, the selected bibliography at the end of the volume is organized thematically by chapter and is useful for further reading. However it should be noted that the author has consciously decided to limit the references of foreign language publications and it is therefore best suited to non-specialists and students. Lassner’s book is a major accomplishment in that he is able to present a complicated and highly politicized field in a nuanced and evenhanded manner and for that he should be lauded. This volume will undoubtedly by of great use to both specialist and student alike. 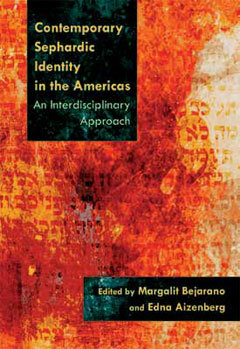 The essays in Contemporary Sephardic Identity in the Americas provide a comparative perspective in which “each Sephardic piece” is understood to be “part of a transnational diaspora” (p. xiii). The edited volume, by gathering the regional studies in one place, unites them into something greater, yielding a collectivity that can then be compared further with Sephardi communities in Israel and with other transnational diasporas. Divided into three sections—“Sephardim in the Americas: Community and Culture,” “Ideological Divergence: Zionism, Religion, and Transnationalism,” and “Culture in Transition: Language, Literature, and Music”—the book succeeds in its aim of using a global perspective to “call for a new definition of the boundaries between the different Sephardic groups and new interpretations of their culture” (p.xxii). The occasion to review Contemporary Sephardic Identity in the Americas for a journal dedicated to the study of Muslim-Jewish relations foregrounds a particular contribution it makes that may not be considered in other review contexts: that of redrawing, or of enlarging the maps of “Middle Eastern” Jewish migrations. Elsewhere, Israeli author Amnon Shamash introduces readers to his family’s geographies, both imagined and experienced. Shamash writes of his Aleppan extended family: “Each Jew has his America. Our America was Mexico. Like many Jewish families from the Old World, ours was also torn between the land of boundless possibilities and the land of impossible boundaries…Many uncles and aunts, their descendants and descendants’ descendants populate the capital of Mexico today…with the taste of Aleppo in their mouths, the love of Zion on their tongues and both feet planted firmly in the soil of America” (Shamash, Amnon. My Sister the Bride. Massada 1979, pp. 25-26). Shamash in Israel thought not only of the past Aleppo of his childhood, but of the present Mexico City of others in his extended family. Instead of taking the more familiar approach to immigrant studies that focuses mainly on double homes—the country of origin and the country of settlement—the essays in the book remind us that in some cases the place of settlement may be the most recent on a path of migrations that are better seen as having three or more stops. While this remapping is not the main intent of an already very full and interdisciplinary book, it shows the productiveness of the book’s emphasis on transnationality. When thinking of his family, Shamash considered together Syria, Israel and Mexico. In turn, this book on Sephardim in the Americas reminds us that when we look at “Cuban” Jews in Miami, we may be looking at Jews whose descendants went from Spain to Turkey to Cuba, and then from Cuba came to the United States. Sephardic migrations were not just those of Old World Spanish-speaking Jews to New World countries in which Spanish is the dominant language, but also those of Old World Arabic- and Turkish-speaking Jews who came to the Americas. In the latter case, as some of the authors in the volume show, some Arabic and Turkish-speakers who came from communities in which spoken Ladino had all but disappeared, have been introduced or reintroduced in New World countries to a Ladino past. All the essays make valuable contributions. Of particular interest to readers of Intertwined Worlds would be those case studies on religious revival among Syrian Jews in Buenos Aires (Susana Brauner), religious movements among Jews from Aleppo, Turkey, Greece and the Balkans in Mexico (Liz Hamui Halabe), and the history of migrations from Turkey to Cuba to Miami of Turkish Jews (Margalit Bejarano). An essay on contemporary literary uses of Ladino shows how different pasts can be creatively layered in the present. In this essay, Monique Balbuena gives the examples of writers, some from Ladino speaking families, and one from a European (Askhenazi) background, whose uses of Ladino serve different symbolic purposes in their writing. In the case of writers such as Clarisse Nicoidski and Margalit Matitiahu who heard Ladino spoken when they were young, the language can be both a mother tongue as well as the words of their mothers. In the example of writer Juan Gelman whose heritage was not Ladino, his “Self-Sephardization” enabled him reposition his personal and national identities. Ladino became the language that best represented his exile from Argentina. Nonetheless, in all cases, the writers’ works contribute to the “afterlife” of Ladino. The longing expressed in the quote cited earlier from Shamash—“each Jew has his America”– is sometimes buried under the inevitably less poetic academic discourses about identity that fill the book. The discussion about identity is about inclusion in the present while keeping something of the past. It is about how to enter fully into larger national and communal entities while retaining that which makes each community specific. What would it mean to take longing seriously, to see more fully the contours of the imaginations of people living transnationally? But there is time and opportunity for more analyses, both poetic and academic. Contemporary Sephardic Identity in the Americas is a wonderful addition to the literature and a catalyst for further work. Arthur Neslen, In Your Eyes a Sandstorm: Ways of Being Palestinian (Berkeley: University of California Press, 2011), hardcover, xiv+306 pp. 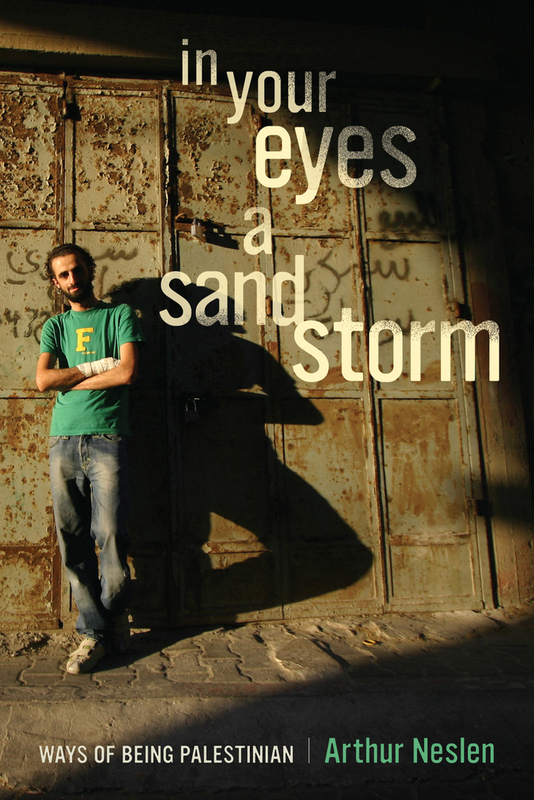 In In Your Eyes a Sandstorm Arthur Neslen takes readers on a journey through “the many layers of Palestinian experience” (p.4) by way of fifty interviews with ordinary as well as more renowned Palestinians living in the West Bank, the Gaza Strip, Jordan, Israel, and Lebanon. He starts with the viewpoints of Palestinians in their teens and ends with the memories of those who experienced the cataclysmic events of the Nakba (catastrophe)—the destruction and dispersal of Palestinian society in 1948—and, before then, of the defeated Palestinian revolt against British rule in 1936. The title of the book comes from a poem by Tawfiq Ziad and refers to the different ways in which Palestinians have resisted displacement and dispossession, thus remaining as a “sandstorm” in the eyes of powerful forces, which have attempted to silence them. Neslen also uses the expression when he presents the goals of the book. He states that the book aims to show how his interviewees are normal human beings dealing with difficult individual and collective situations. He hopes that this focus on the basic human qualities of his interviewees helps “to remove some sand from the eyes” (p.11) of the readers pushing them to go beyond the tendency to approach Palestinian lives from within the Jewish Israeli national narrative or, by contrast, as mere individual reflections of the collective Palestinian history. Neslen’s deep empathy, exceptional listening and communicative skills, and magnificent mastery of the writing craft make the journey engaging, at times surprising, often distressing due to the palpable suffering that exudes from the text. I suspect this is the case for both the well-informed readers, including, I am sure, those with a personal involvement in Palestinian society, and those for whom the book is a first-time “encounter” with ordinary Palestinians beyond the news headlines. This is an impressive achievement especially given that Neslen does not speak Arabic and conducted his interviews in English or more often with the help of translators. Neslen’s genuine attempts to connect with his interviewees and overcome distance, distrust, and language barriers truly come alive when he negotiates moments of tension as in the interview with Huda, a Hamas media liaison, or when he interviews ordinary Palestinians including villagers, fishermen, drug-dealers, students, artists, and even a taxidermist and zoo curator. The strength of the book also lies in its organization. The decision to move from the youngest to the eldest generation instead of the more typical progression from the past to the present gives dynamism to the collection of interviews. It foregrounds the human qualities of the interviewees as they speak about their day-to-day concerns, frustrations, hopes, and traumas while offering a present-day perspective on the memories and experiences of the older generations. The decision to group interviewees according to age range rather than place of residence also renders the book particularly vital, often highlighting the stark contrast between the life trajectories of differently situated Palestinians. This is for example evident when one juxtaposes the interview with the two militants of the Islamic Jihad in their early thirties living in the Jenin refugee camp, who have practically come to embody political activism and who are uncomfortable speaking about other things to a stranger, with the interview that follows with two renowned Palestinian comedians of the same age living inside Israel, who speak about their gradual discovery of Palestinian identity. The interludes that summarize key historical events are helpful in orienting the readers through the many changes in Palestinian history and sensitizing them to the interviewees’ repeated exposure to traumatic situations of war, dispossession, and displacement. Finally, the decision to add the author’s perspective to the myriad of opinions and viewpoints that emerge from the interviews adds a sense of authenticity to the book. More or less explicitly, Neslen extends his interest in and understanding of human suffering and resistance against oppression to a connection between the Palestinian experiences of marginalization, ghettoization, and stigmatization and the predicament of oppression historically experienced by the Jewish population. While Neslen often uses poignant quotes from the interviews to convey a vivid sense of how different segments of Palestinians think and feel about their lives, the quotes are typically brief and I was left wanting to hear more stories and comments directly from the interviewees. The length of the book (306 pages) and the goal of offering a tapestry of voices across time and space justify the use of short quotes. Yet, longer quotes might have deepened our understanding of the different experiences of the Palestinians that Neslen interviewed, especially those who, as he puts it, might not be interviewed again in their lives. Another criticism relates to what is not included in the book: the voices of the many Palestinians living in other areas of the world, for example, the Gulf, the United States, and Europe. Their inclusion would have enriched this already brimming account of “ways of being Palestinian,” especially as their relationships with Palestinian identity and history are salient for some of the Palestinians that Neslen interviewed. For example, Abdul, an artist in his mid-twenties living in the Shatila refugee camp in Lebanon, commented about the Palestinians living in Europe and America: “We lose more than them if we neglect them” (p.41). But these are minor criticisms. The original materials offered in this book are quite compelling in showing how the interviewed Palestinians are themselves on both a personal journey and a national one, both journeys being punctuated by recurrent traumas from loss of land to violent death, from physical displacement to imprisonment and torture. Three themes are particularly central to the varied “ways of being Palestinian” discussed in this book: 1) the embodied dimension of suffering under the constraining and at times immobilizing pressure of the Israeli state, its legal system, and its coercive agencies; 2) the search for respect, dignity, and value; and 3) the orientations towards other segments of Palestinians. The embodiment of oppression is cogently captured by the collapse and hospitalization of Nuri, a Bedouin activist in his mid-sixties, after a string of state-initiated actions against him ranging from his expulsion from the Negev, where he was born and owns land, to his arrest for opening a garage without license. It is also well captured by the words of a young homosexual Palestinian living in Ramallah and hoping to move to Europe when he explains that he needs to keep in mind the Shabak’s (the Israeli main security agency’s) practice of recruiting informers as he negotiates his intimate and affective life. The search for respect and value runs through many if not all the interviews but is paired to different things, most prominently to the connection with the land but also to “the street” in the case of the drug-dealer in East Jerusalem and to a dangerous activity as in the case of the tunnel engineer in Gaza. The interviews often include references to Palestinians with a different background especially those living across borders. For example, Tamer Nafar, a member of a renowned Israeli Palestinian hip-hop group from Lyd emphasizes that they are “superstars” when they play in Ramallah or Bethlehem (p.71) while Diana Buttu, a lawyer whose family comes from Nazareth, though she grew up abroad and now lives in Ramallah, complains that Palestinians in the West Bank “think they’re more nationalistic than people [Palestinians] inside Israel” (p.89). While Neslen states that reconnecting the different segments of Palestinians “may prove akin to piecing back together the shell of a shattered egg” (p. 16), I think that the stories that he includes in his book offer a complex image of a society surely traumatized and fragmented and yet, one still capable of generating positive energies and perhaps a renewed language of in-group solidarity. This book fits well on a shelf with other recently published interview-based works on ordinary Palestinian lives including Dina Matar’s What It Means to be Palestinians and Fatma Kassem’s Palestinian Women. It also complements Nesler’s Occupied Minds, his previous interview-based study of Jewish Israeli society. My hope is that this book will inspire other scholars to pay more attention to the everyday lives of ordinary Palestinians, to excavate their social histories, and to cross borders to draw comparisons and make connections between Palestinians living in different places. 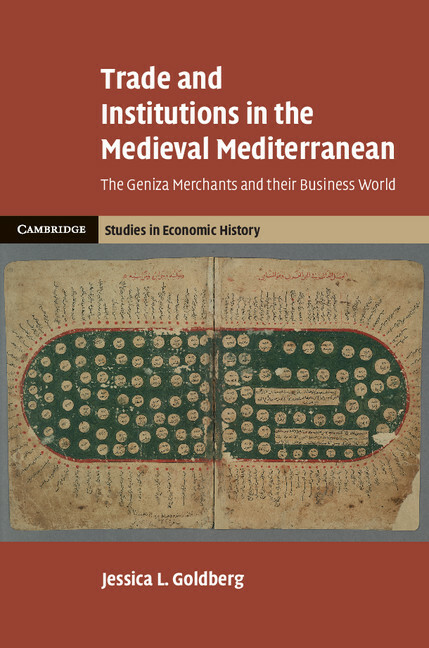 REVIEW: Jessica L. Goldberg, Trade and Institutions in the Medieval Mediterranean: The Geniza Merchants and their Business World (Cambridge: Cambridge University Press, 2012), hardcover, xxi + 426 pp. 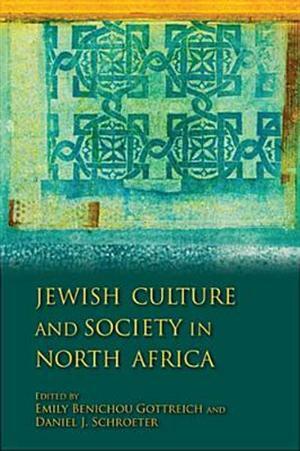 Jewish Culture and Society in North Africa. Indiana University Press, 2011. pp. 372. There are few classic edited works on Jewish-Muslim relations, Jewish Culture and Society in North Africa could be one not only because of its clarity, depth and resourcefulness but also scientific contribution to the field of North African historiography. It not only rethinks moments of North African Jewish history and questions of historiography, but does it both through the eyes of Western scholars and local North African historians. This approach puts this edited volume in a unique position compared to previous works written mostly from the perspectives of scholars who no longer reside in Algeria, Morocco and Tunisia. Equally important, unlike other academic conferences on Jewish-Muslim relations generally held in France, Israel or the United States, the fact that Moroccan, Algerian and Tunisian scholars, largely historians, could attend and present academic talks on the Jews of their homeland in a North African context is an important token that gives meanings to the book. Therefore Jewish Culture and Society in North Africa breaks a few taboos by allowing Israeli, North American and North African scholars to sit around the same table cognizant of the Arab Israeli conflict but still able to have an academic conversation based on mutual respect.